There are days when the most prominent names in the stunning category fail to evoke any wow from you. You can blame their stylists or the decision to step out in the most horrific looking attire, but the final outcome is sometimes disappointing and underwhelming. While we cheered for our best-dressed celebs last morning, it's time we criticise the worst-dressed ones. Joining Disha Patani, Ananya Panday and Sonakshi Sinha this week is Samantha Ruth Prabhu. Trust us, we hate to name her in this category and hopefully, she won't give us any reasons in future. Student of the Year 2 Actress Ananya Panday Looks Refreshing on her Debut Magazine Cover for Elle India - View Pics. Let's quickly go through their faux pas and elaborate on where they went wrong. Disha Patani needs to hire a new stylist, someone who sees the potential inside her. Potential to rock some of the boldest and most stunning attires. With a figure as svelte as that, she has an ability to nail any damn silhouette and yet, she's stuck to justifying something as appaling as this. Disha Patani Ditches Her Calvin Klein Lingerie and Picks a Hot Pink Monokini To Welcome the Summer - View Pic. Sonakshi Sinha's style file for Kalank so far has been a mixed affair. We are neither cheering nor criticising her. However, we genuinely feel she could have easily ditched this all over print outfit. While the outfit may burn a hole in your pockets, it's very similar to something that we can easily buy in Lokhandwala market. What was Samantha thinking while picking this loud attire? Guess, she was trying to convey any message for nature preservation. If not, we have seen her stun in some of the most basic attires and this was clearly not her calling. 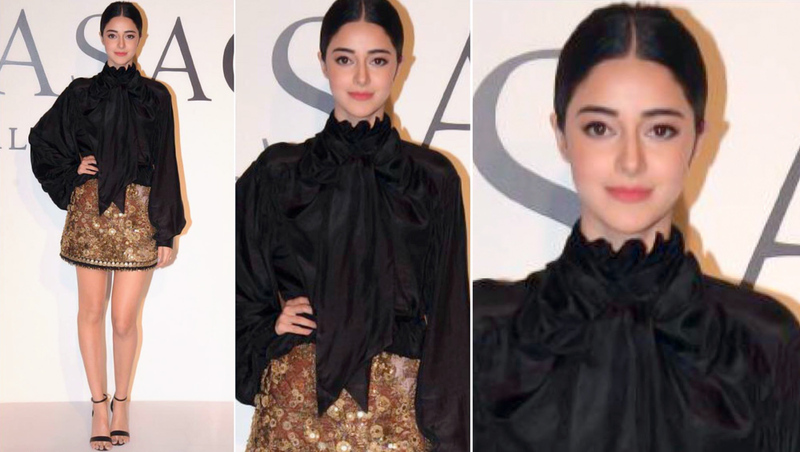 Ananya Panday is a budding fashionista and such minor setbacks are inevitable. She's trying to get a firm footing in Bollywood and she may lose her grip mid-way. Unfortunately, her recent outing for Sabyasachi's 20 years celebration was lacklustre and we are tad disappointed.